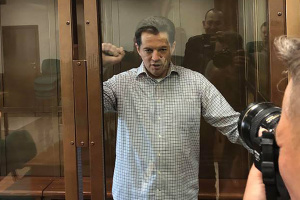 The delegations of Ukraine, the United States and Canada to the OSCE, on the eve of the 50th birthday of Ukrainian journalist Roman Sushchenko who will mark his third birthday in a Russian prison, have once again called on the Russian authorities to release him. The respective appeals to release Sushchenko and other Ukrainian political prisoners were made during a meeting of the OSCE Permanent Council in Vienna on Thursday, an Ukrinform correspondent said. 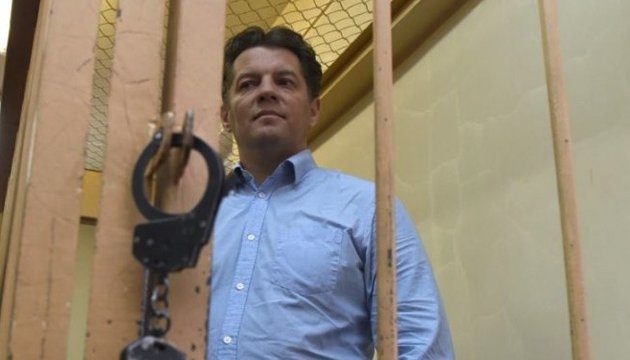 "Tomorrow, on February 8, Ukrainian journalist Roman Sushchenko and a Ukrainian citizen, resident of Crimea Volodymyr Balukh, will mark their birthdays in prison," Permanent Representative of Ukraine to the International Organizations in Vienna Ihor Prokopchuk said. He emphasized that these two political prisoners are among dozens of Ukrainian citizens who are illegally held on trumped-up charges in Russia and in Russian-occupied Crimea. Ukrainians Pavlo Hryb and Edem Bekirov, who have a disability, continue to remain in Russian detention without appropriate medical care they need on a daily basis. Russia also continues to ignore the calls of the international community for the release of 24 Ukrainian prisoners of war who were captured during an attack near the Kerch Strait. "We once again demand that Russia release Ukrainian citizens immediately and unconditionally and we call on the international community to intensify its pressure on Russia to do so," the Ukrainian diplomat said. In addition, the delegations of the United States and Canada, in their speeches on the issue of Russia's ongoing aggression against Ukraine and illegal occupation of Crimea, also mentioned the upcoming birthday of journalist Roman Sushchenko, illegally imprisoned in Russia. Representatives of the United States and Canada renewed their appeals to the Russian authorities for the immediate release of the Ukrinform correspondent and other Ukrainian political prisoners held by Russia. Roman Sushchenko will turn 50 on February 8. He will mark his birthday in a Russian prison for the third consecutive year.